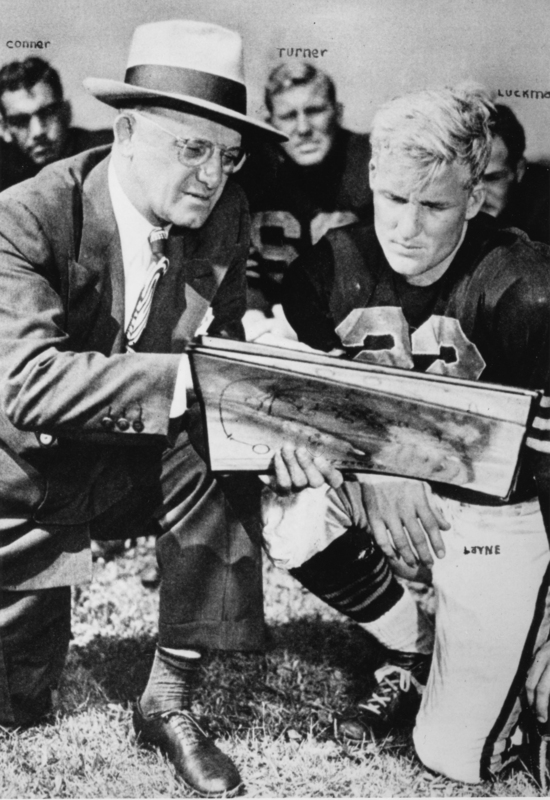 Editor’s Note: In this installment of “Mind of Sabol,” we will take a closer look at one of the biggest pioneers of professional football, George Halas (“Papa Bear”), historic owner and coach of the Chicago Bears. Let us know what you think about Steve’s famous card catalog by leaving a comment below or tweeting @NFLFilms with #MindofSabol. 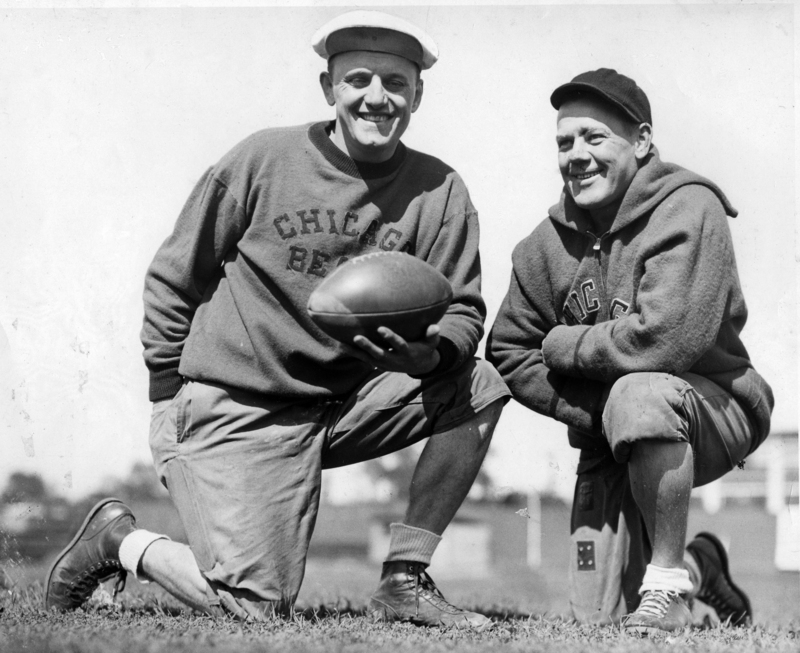 Chicago Bears Hall of Fame head coach George Halas shown circa 1920. 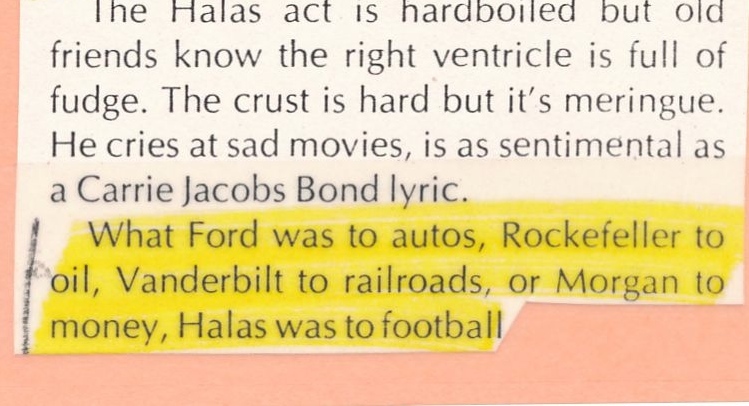 Highlighted Section:Pro football was started by six guys sitting around on a Huppmobile running boards in Canton, Ohio, one afternoon in 1920. 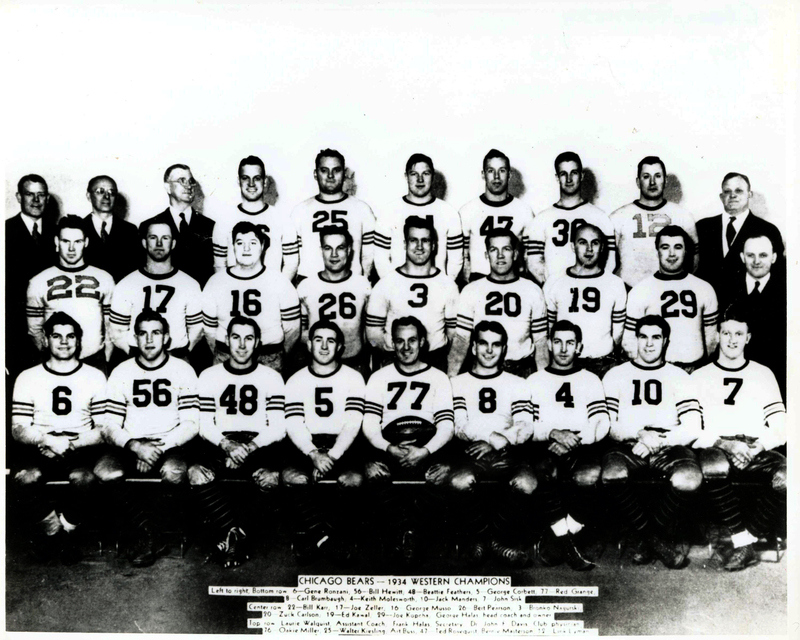 The only survivor of that group is George Halas. 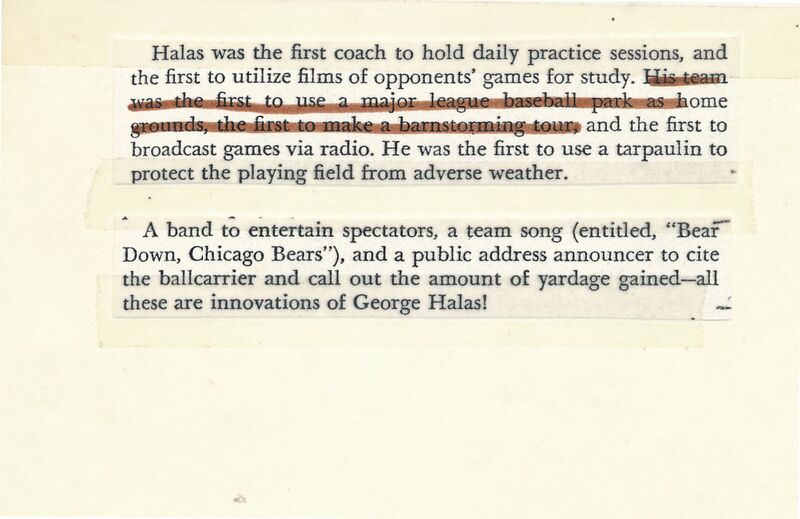 One of the reasons pro football survived in George Halas. 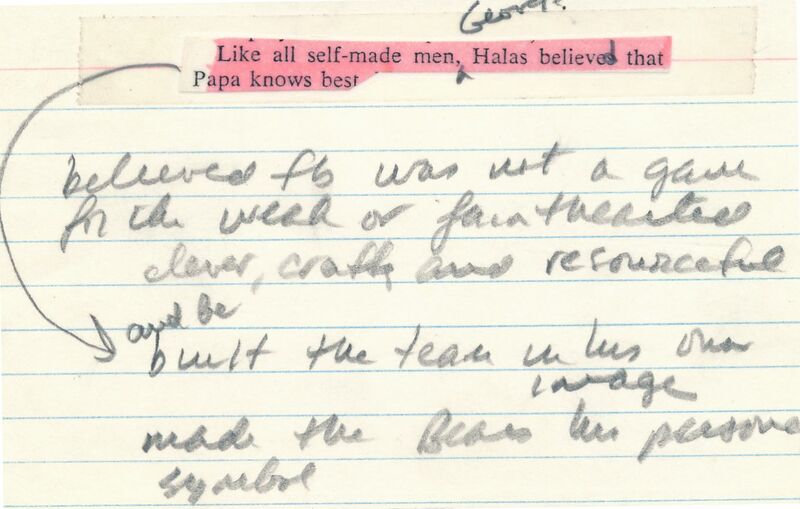 George Halas not only played end, he sold tickets, swept floors, shoveled snow, ushered patrons, coached, counted, flacked, worried, wet-nursed, and evangelized. 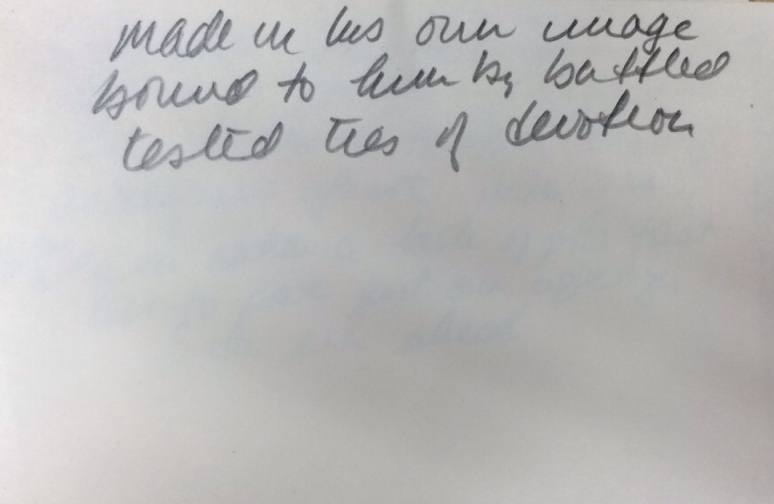 he spent Staley’s get away money on uniforms and the first 20 bucks that came though the till he ran down to the drugstore and bought iodine and tape. 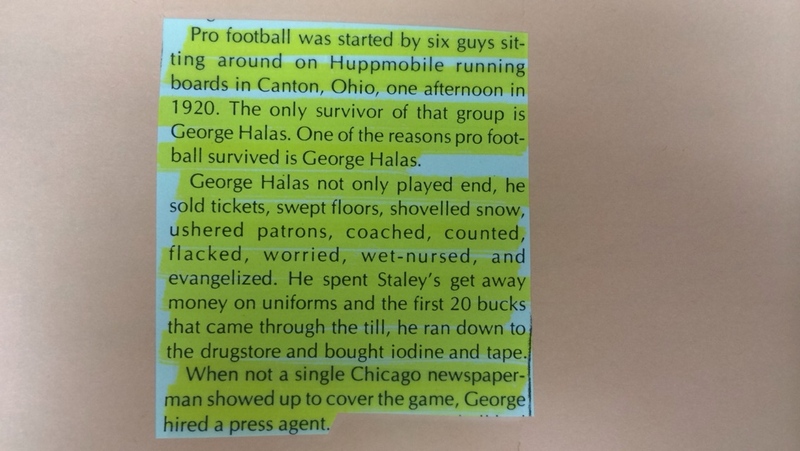 When not a single Chicago newspaper showed up to cover the game, George hired a press agent. 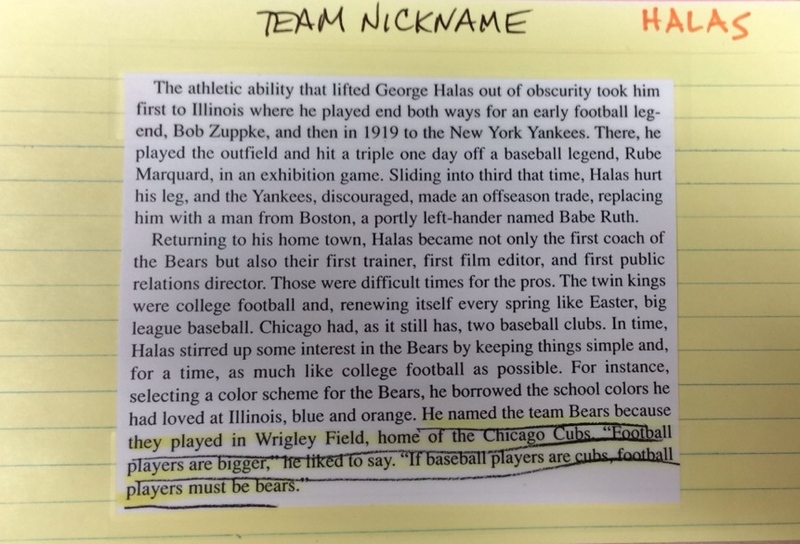 After playing for the team and being an assistant coach, Halas gained control of the team in 1921 when it was still the “Chicago Staleys.” He renamed the team in 1922. 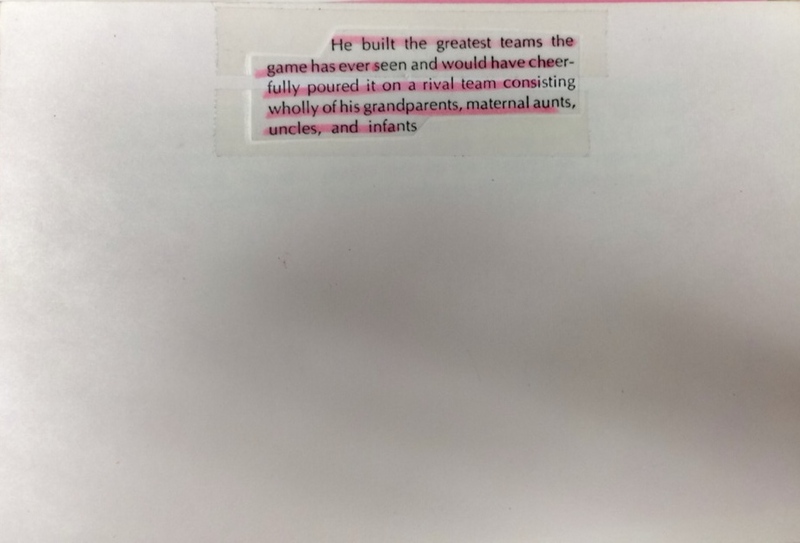 Highlighted Section: He built the greatest teams the game has ever seen and would have cheerfully poured it on a rival team consisting wholly of his grandparents, maternal aunts, uncles and infants. 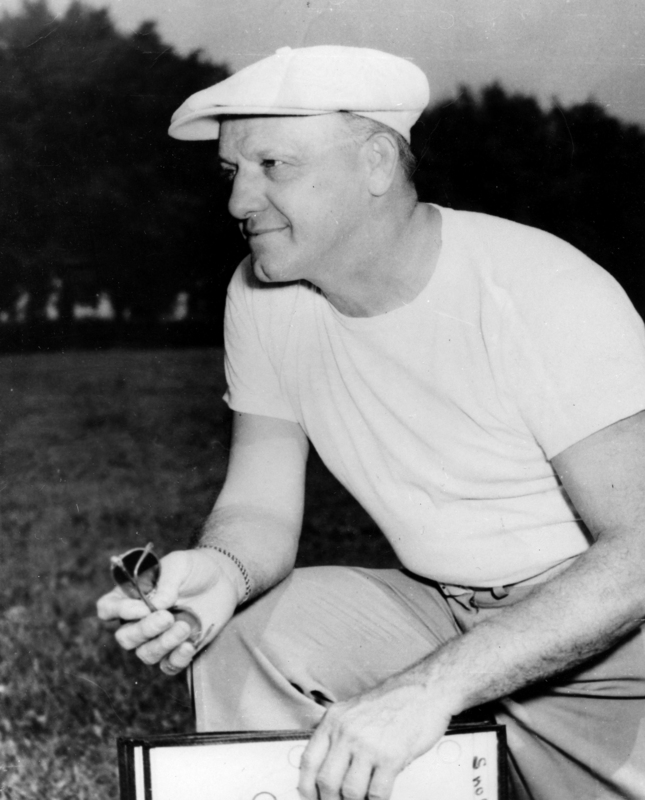 He helped revolutionize the way the game was played. 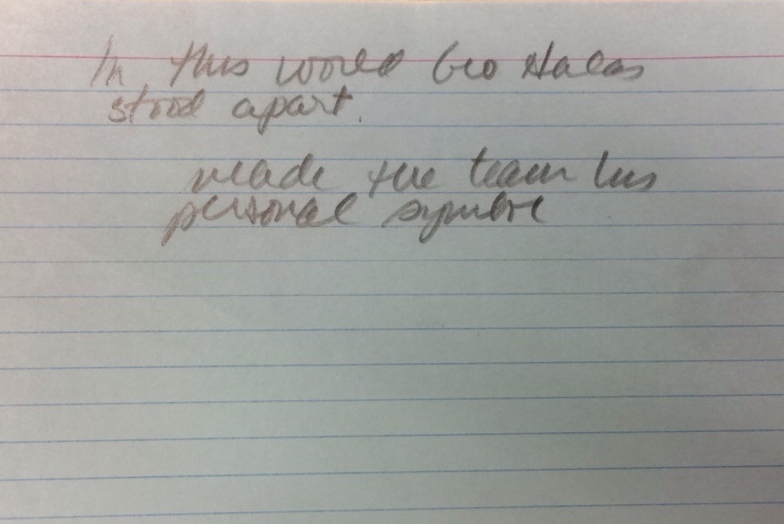 He was the first coach to hold daily practices, analyze film of opposites and to put coaches in the press box. 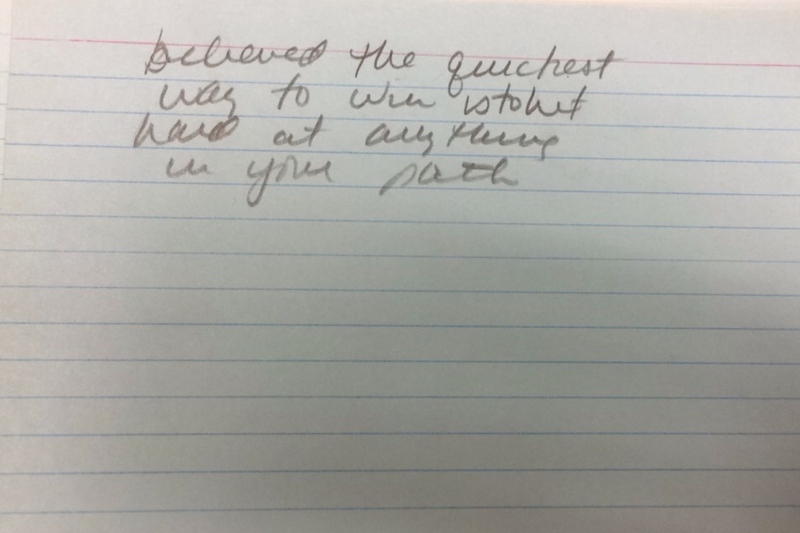 He also perfected the T-formation system and he successfully fought for new league rules that increased scoring opportunities, which in turn lead to the growth of the popularity of the game. 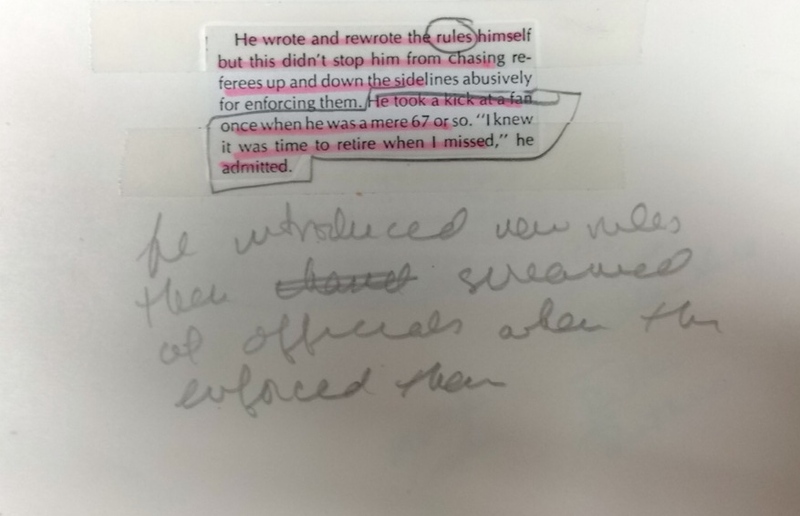 Highlighted Section: His team was the first to use a major league baseball park as home grounds, the first to make a barnstorming tour. 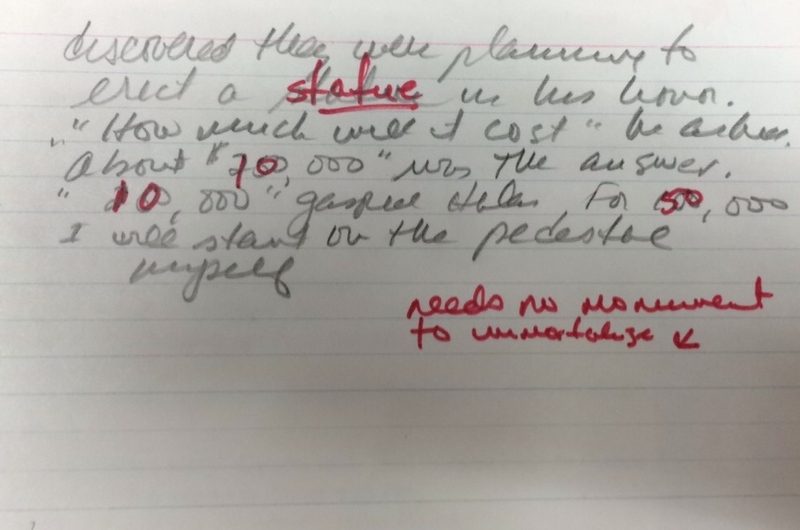 Steve’s Thoughts: They were planning to erect a statue in his honor. 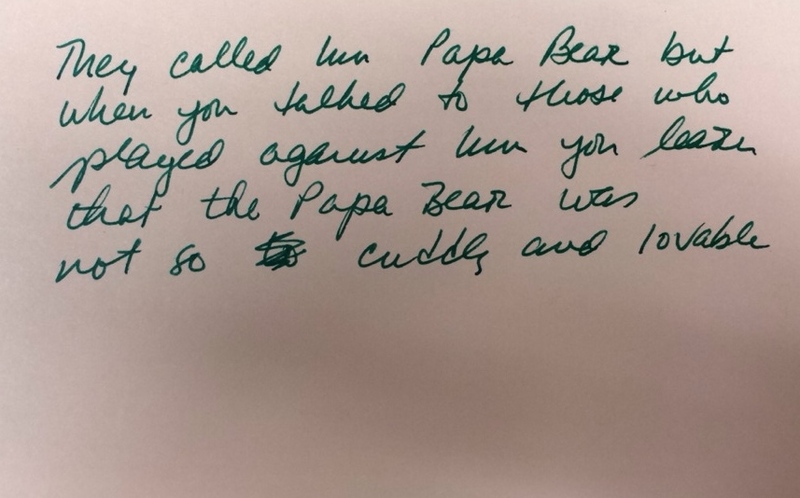 “About 100,000” was the answer. 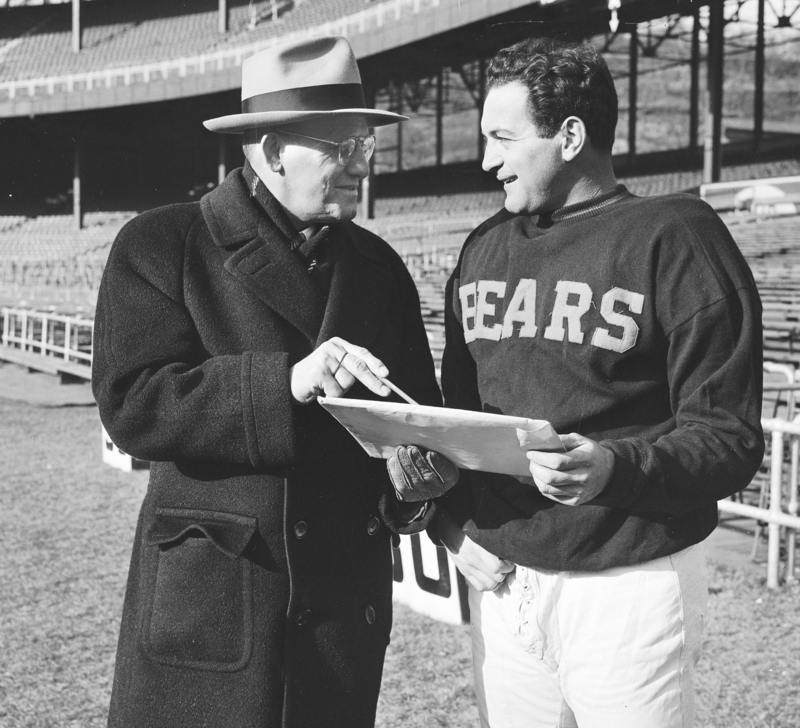 George Halas, left, and Sid Luckman Dece. 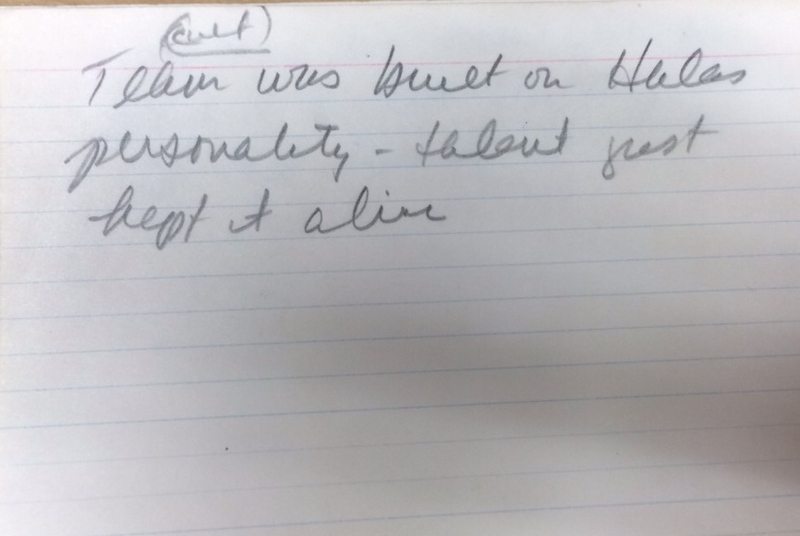 14, 1946.